For nearly 15 centuries the Rule of St Benedict has inspired and guided the lives of countless men and women. However, it is not only monks and nuns who find the Rule attractive. Lay people, married and single, from diverse walks of life, as well as diocesan clergy, have found in the Rule principles which can be applied to their life “in the world”. The Rule’s moderation and understanding of human nature will never date, and will ﬁnd a universal resonance. They point to the goal to which every Christian rightly aspires: a balanced life. Spiritual reading - or more popularly, lectio divina, using Scripture as its basis. make a retreat once a year. 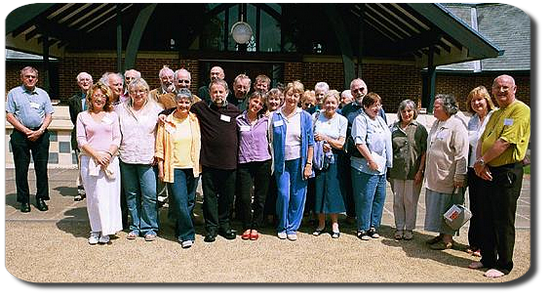 The oblates of Douai Abbey are to be found across the country, including chapters centred in Norfolk, Warwickshire, London and the monastery itself, though oblates are not restricted to these areas. The process of becoming an oblate is inspired by that of monastic formation, though it is quite different from it. After a period of initial enquiry and discernment, there is a novitiate of at least a year after which a candidate may admitted to oblation. If you would like more information then please email the Oblate Director, Fr Gervase. Our oblates now have their own website, Douai Abbey Oblates, at which you will find more information and extensive resources.